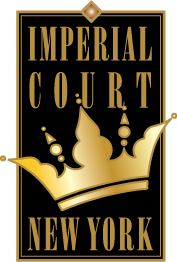 Every year The Imperial Court chooses a beneficiary to for its gala event. The 2019’s 33rd Annual Night of a Thousand Gowns will benefit Trinity Place Shelter. The mission of Trinity Place Shelter is to help homeless lesbian, gay, bisexual, transgender or queer (LGBTQ) youth and young adults in New York City to safely transition out of the shelter system and grow into independent, positive, and productive adults.